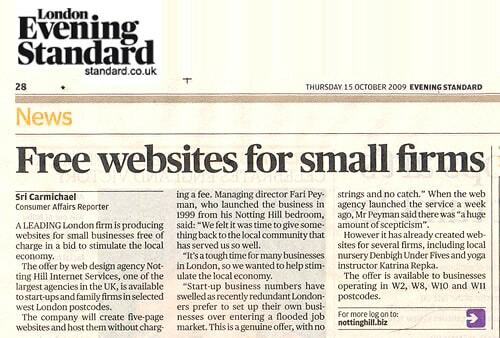 The past ten years have confounded expectations and sprung many surprises - both online and in the small business worlds. In December 1999, very few people.. The time was when a copywriter had to be good at just one thing - writing. As with many professions, however, the job description changed radically with the arrival of the..
A bit of local news.. For many, the cost of building a website from scratch can seem astronomical and with the economy as it is one that is sometimes neglected.. 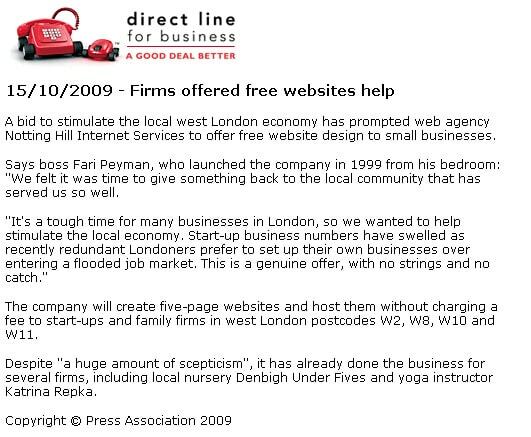 Web veteran Fari Peyman of Notting Hill Web Design predicts top small business trends for 'The Teens'..
London web agency Notting Hill Web Design is producing websites for small businesses free of charge in a bid to stimulate the local economy.. The best things in life are FREE. 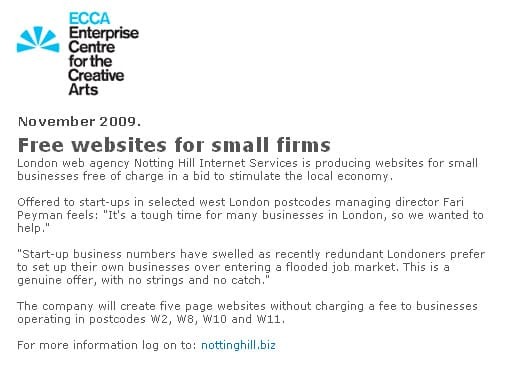 We have found out that Notting Hill Web Design (http://www.nottinghill.biz) offers FREE websites to small businesses..
Is Twitter and Facebook use costing UK plc dear? 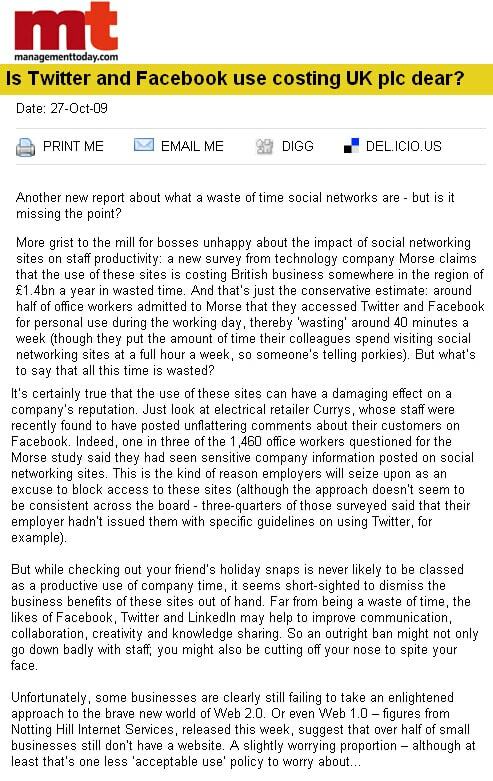 Another new report about what a waste of time social networks are - but is it missing the point?.. 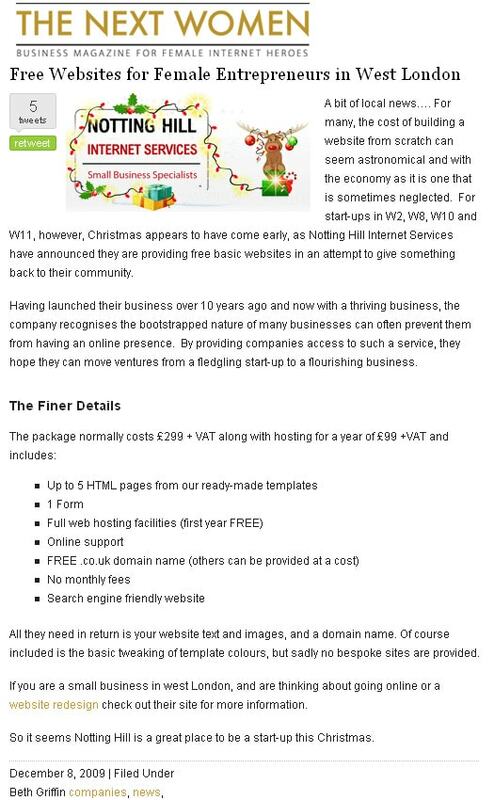 A bid to stimulate the local west London economy has prompted web agency Notting Hill Web Design to offer free website design to small businesses.. The offer by web design agency Notting Hill Web Design, one of the largest agencies in the UK, is available to start-ups and family firms in selected west London postcodes..